If you have a blog and you want more traffic, you will definitely want to make sure that you are using a Pinterest business account. Setting your Pinterest profile up as a business account can take pinning your pinning to the next level. It also allows you the ability to access analytics so you can track your progress and you can also promote your pins through ad creation which is an inexpensive way to market your posts. Luckily, the process is FREE, is really simple and can be set up in a few short steps. If you have an existing Pinterest account, the set up is really easy. Just head over here, log in to your Pinterest account, fill in the required information and bingo, bango. YAY! You officially have a business account. Personally, I chose to change my personal account to a business one. I set any boards that I want to keep private to secret and created new boards specific to my business. This way, I wouldn’t be switching back and forth between accounts. If you are starting a new account for your business, log out of your existing personal account and head here to start a new Pinterest business account. Once there, you will want to click Join as a Business, fill out the required information and then click on Create Account. Now that you actually have a business account, you’ll want to do a few things to set it up for success. The first thing you should do is update your Pinterest profile. As a business, you can use a logo or a nice head shot so that your audience can identify with you. You will also want to update your username and description. Your username does not have to be your business name. In fact, most of the Pinterest marketing specialists actually say that it is better to have a username that has a keyword or keyword phrase that is specific to your niche. Your description should include a short, informative mini-bio that includes keywords from your business. You are limited to 30 characters in the desktop view so you might have to get crafty. If you need to squeeze in a couple extra characters, try the mobile app as it allows a few more. Here’s a look at mine as an example. 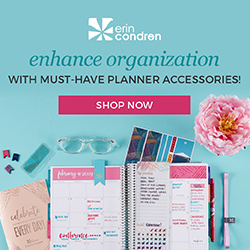 If you didn’t already have a personal Pinterest page or you are starting a new business page from scratch, you will want to create some new boards. I would start out with at least 10 niche specific boards that would suit your business categories. For instance, if you were a lifestyle blogger, you might have boards on finance, working from home, travel, recipes etc. Keep in mind when naming these boards try not to use clever names like “mmmmm…” for food (this was mine lol). 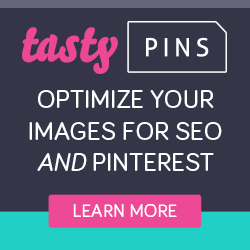 When someone is searching for pins or boards in the Pinterest search bar, they likely won’t be searching for mmmmmm. Try to think about what words you would type in the search bar yourself if you were looking for something. Next, add a description for each board. As Pinterest is actually more like a search engine than a social media platform, you will want to develop your descriptions using SEO (search engine optimization) using tools like keywords and phrases. You’ll definitely want to verify your website with Pinterest for a couple of reasons. The first is that once you are verified, you will gain access to your analytics, which as I discussed earlier, is important in tracking which pins are doing well and who is pinning them. The other is that your Pinterest profile picture and website will show up next to any pins that are directly pinned from your website, which is free advertising! In order to verify that you own your blog to Pinterest, you will need to claim your website address with them. There are a few different ways that you can do this, but I have found this by far, the easiest method. There are ways that you can load this file to the root of your website, but unless you are comfortable with coding, this was not an option for me. Instead, the simplest way is to go into your Yoast SEO, Social settings in your WordPress dashboard. You can find it in the left-hand sidebar. It will say SEO and have the Yoast symbol beside it. Once you are in there, click on the Pinterest tab and then paste the HTML into the place to verify your website and click save. You are not finished yet! MAKE SURE TO DO THE NEXT STEP. I kept repeating the last step over and over and couldn’t figure out why I couldn’t get it to work. Once you have the HTML pasted and saved, you MUST go back to Pinterest account settings and click Submit. They will automatically check the file and claim your site for you. The next step is to enable rich pins within your account. If you’re wondering what rich pins are, they are simply a way for Pinterest to show your pins with more information and context on them. It includes the metadata from your website so that more information is available on the pin which increases engagement. Pinterest recognizes four types of rich pins: app, article, product and recipe. For most bloggers, the article rich pins will be used. These pins will include a title, author and a snippet of the blog post in them. You can see in the example here that the two pins that are “rich” have an icon with the business logo or picture, the title and a bit of description attached just under the pin. The others only have a brief headline. There are two steps to enabling rich pins. If you still have the HTML copied from the previous step, you can use the same code. Choose Pages from the sidebar in WordPress, and pick any page. I just used my Home page. Paste the metadata anywhere. (It shouldn’t show up in text). You will only need to do this step one time, once rich pins are enabled, you can remove the HTML from your page if you want to. Now that you have the code pasted, you will need to go back to Pinterest and validate the code. Go to Pinterest’s Rich Pin Validator page and type in the URL address of your website and click validate. Then choose the HTML tags option and click Apply Now. That’s it! Your rich pins should show up within an hour. (There may be a delay if your site has not completed the verification steps so you may have to wait 24 hours). This is how you can easily switch your Pinterest account to a business account. Have you done this? Tell me how it went in the comments! That’s a lovely and detailed post on setting up your pinterest business account. I wish I had this when I began with pinterest. This is such a really insightful post. I have been really struggling to understand Pinterest. I registered in 2016 and till have not had much traffic from there. This was so helpful. I could not figure out what I was doing wrong to claim my site with Pinterest and in two seconds I figured it out. Thank you. Really useful. I have Pinterest but struggle to get much traffic from it. Thank you for the comment! I’m very new but my traffic is steadily increasing. I use a combination of manual pinning, group boards, Tailwind and Tribes to get my content out. How are you pinning? I had changed my board names to more descriptive ones, but recently, I have added back in the fun by adding some fun around it (like “Really Revving Reviews”, instead of just “Reviews”). And I have NOT made ancillary boards secret (against expert wisdom). Part of our vision is to express ourselves creatively, so while we want to be successful, it has to be understanding that we a multi-faceted artists at the same time. Thanks for sharing your wisdom. I had thought about that as well… I still keep all my secret boats “fun”.. that was the whole point of Pinterest for me too! Thank you for the insight! Thanks so much for this. Going to go over my Pinterest and get it set up properly.